A threatened U.S. tariff on new vehicles and parts would disrupt the North American auto industry and send ripples throughout the used car market, experts say. The U.S. administration has brandished an import tax of up to 25 per cent as a bargaining tactic in NAFTA talks and as a threat against German automakers. The impact on Canada’s sizeable used-car business depends on the tariff’s specifics. If it captures low-mileage used vehicles it could throttle a flourishing cross-border trade, said Brian Murphy, vice-president and research director at Canadian Black Book (CBB). “If those cars are slapped with a tariff those transactions will stop probably for the most part, so a lot of cars won’t have buyers,” said Murphy told Automotive News Canada. Automotive trade has been largely tariff-free since the mid-1960s, when the Canada-U.S. Autopact began dismantling the sector’s protective wall. A steep tariff on new vehicles could add thousands of dollars to retail asking prices, making used models more attractive. “A used car is kind of a substitute good, at least at the margin between new and used,” said Tom Kontos, chief economist for KAR Auction Services of Carmel, Indiana, which operates the ADESA wholesale auction network in Canada, United States, Mexico and United Kingdom. But it’s not that simple, Murphy argued. There’s a risk the U.S. will include late-model used vehicles to keep exporters from dodging the tariff by rolling a few kilometres on a car before it crosses the border. Murphy said such a move would likely make premium Canadian units less attractive, at least in the short term. Kontos said Canadian annual exports in the last few years ranged between 200,000 and 300,000 vehicles. Some are trade-ins, repossessions and private sales but many are recent-vintage fleet and off-lease models sold at auction. Even if newer used vehicles are included, “the cars that typically make their way across the border are a little on the older side,” Kontos said. In either case, the expected spike in new-car prices on both sides of the border would blunt any fallout, especially if the Canadian dollar weakens further. “I think that is the bigger dynamic to focus on,” he said. “Cross-border-wise that would probably drive more U.S. buyers to Canada to purchase vehicles that aren’t really affected by that tariff. The annual volume of used vehicles headed south has ranged between 20 and 30 per cent of total sales, Kontos estimated, although it’s closer to the lower figure today as U.S. domestic off-lease vehicle volume grows. 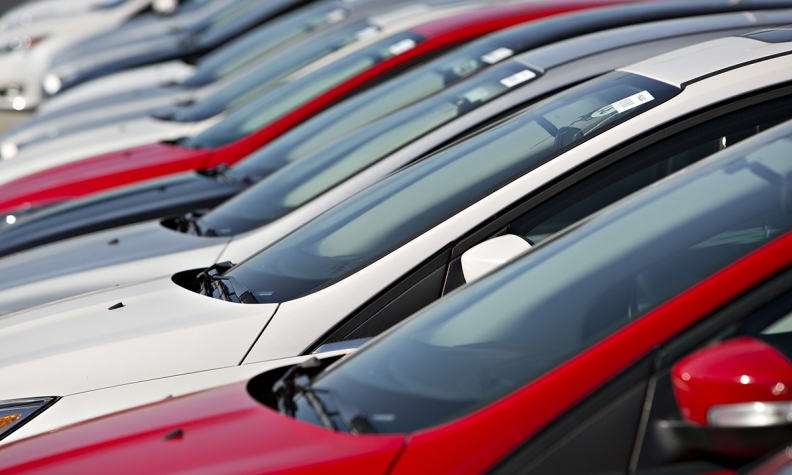 Canadian used-car values have remained strong in part because of exports, said Murphy. CBB’s monthly retained-value index for months has hovered around the all-time record of 2005. That may not continue as off-lease volumes rise in Canada, too, he said. “Used car supply is rapidly growing on both sides of the border so prices are going to go down in the next little while,” said Murphy. The question then is whether tariffs would distort the historical supply-demand cycle.